Walking down Fisherman’s Wharf in San Francisco a few weeks ago, Dr. M. Sanjayan, a conservation scientist and nature filmmaker, stopped at the pier and watched a school of small fish. He watched as the fish were darting about in every possible way, trying not to become the next meal for the sea lions chasing them or the pelicans diving at them from overhead. He could have grabbed a camera, some scuba gear and filmed the feeding frenzy from underwater. It would have made a captivating sequence. But to Sanjayan, it was when he shifted his eye line up: On his left, the Golden Gate Bridge and Alcatraz, and behind him, the city’s concrete jungle. “That is unbelievable. That’s for me, the story,” Sanjayan said. “If there was something that I wanted to come out of the show, it would be as simple as that I wanted people to come to the realization that we are a part of nature. “Because if you start realizing that we are part of nature, and the reason we’re saving nature, it really becomes about saving ourselves,” he said. The show is “Earth: A New Wild,” a new documentary series to air on PBS stations beginning Feb. 4. So why has it taken so long for a nature documentary to look at humans as being a part of nature rather than apart from it? The short answer: TV is so expensive and is so risk-averse, explained Sanjayan. That’s what made PBS the right partner for this — with grants to help with costs the public station could also take a big risk — a multi-million dollar risk, he added. But the conservationist of about 20 years knows that you can’t start a TV show by saying, “I want to make a show about that. You kind of have to make sure that people watch it, and make sure it’s fun and interesting and amazing,” he said. Traveling to 29 countries and locations from the Arctic to Uzbekistan, Sanjayan said that what you find is every location you go to there are people. 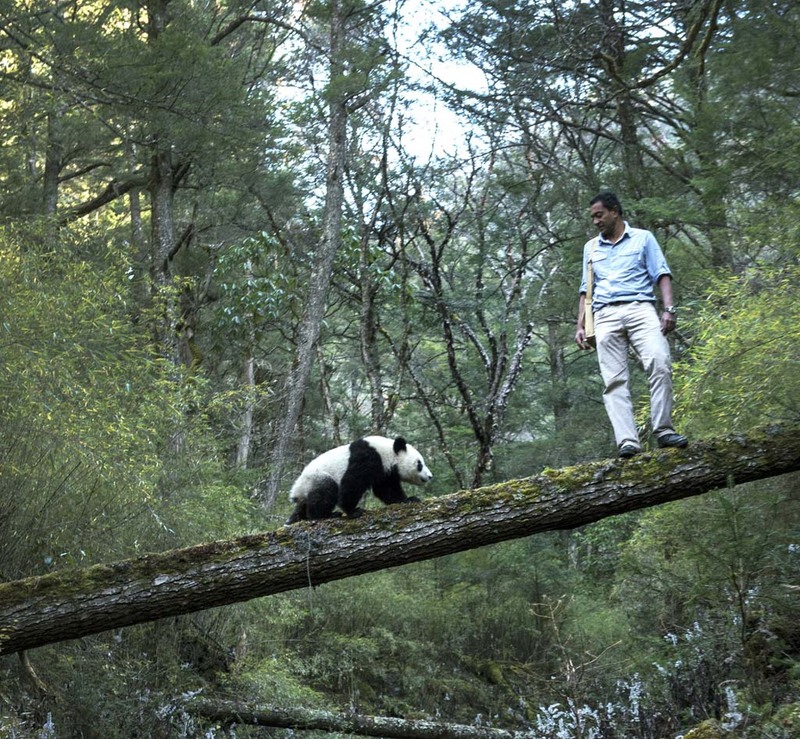 Sanjayan said he thinks that the old notion that there is this wilderness out there, is really not true anymore. “For me I didn’t want to have a show that said, ‘we humans are here and nature’s over there,’” he explained. But that doesn’t mean the world at all seems small to him. “Earth: A New Wild,” airs on local KPBS stations beginning Feb. 4 at 9 p.m.